The Academic Staff Union of Universities said on Sunday that its members were not losing any sleep over the Federal Government’s decision to enforce no-work-no-pay policy against the striking lecturers, noting that the union would be rather surprised if such directive did not come. The ASUU President, Prof. Biodun Ogunyemi, stated this in an interview with our correspondent, noting that the next meeting between the union leaders and the Minister of Education, Adamu Adamu, and other government officials had been scheduled for Tuesday. The Federal Government had on Friday directed vice-chancellors of public universities and inter-varsity centres to enforce the no-work-no-pay rule against the lecturers who are on strike. The directive had been communicated to the universities VCs in a memo by the National Universities Commission. In the memo, reportedly signed by the Director, Research, Information and Technology, Dr Ramon Yusuf, the government stated that payment of salaries from any other sources would be viewed as a violation of extant rules and government’s directive. But the ASUU President, Ogunyemi, said on Sunday that the union was not intimidated by the directive, noting that their negotiations with the government usually followed such pattern of threats. Ogunyemi said, “It is not a big issue really. We are not losing sleep over such a directive. This has been a recurring threat since the military era. We are making sacrifices for our children and for our children’s children. This struggle, for us, is not about bread and butter. If they want to sack us, we encourage them to go ahead and they will have the consequences. “The meeting last week Thursday was not too significant, but for the first time, the government was able to tell us what it will put on the table. We have another meeting on Tuesday and we are looking forward to it. The ASUU president said that it also got to his notice that the Federal Government had withdrawn the memo, even though the NUC had yet to confirm the withdrawal. 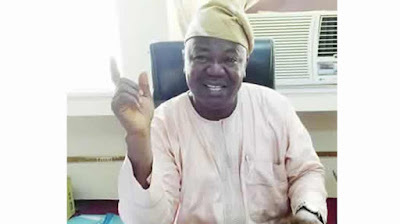 Meanwhile, human rights lawyer, Mr Femi Falana (SAN), on Sunday described as illegal the circular issued by the Federal Government threatening to enforce no-work-no-pay policy against the striking members of the Academic Staff Union of Universities. Falana asked the government to withdraw the “illegal circular” which he said was in violation of various judgments of the Supreme Court. “Otherwise, it would have realised that even under the defunct military junta the application of ‘no-work-no-pay’ rule, threat to eject lecturers living in official quarters, promulgation of a decree which made strike in schools a treasonable offence and the proscription of ASUU did not collapse any of the strikes called by ASUU,” the senior lawyer added. Falana said going by the decision of the apex court in Olufeagba & Ors v Abdul-Raheem in 2010, the vice-chancellors lacked the power to seize the salaries of the striking university teachers as directed by the Federal Government.